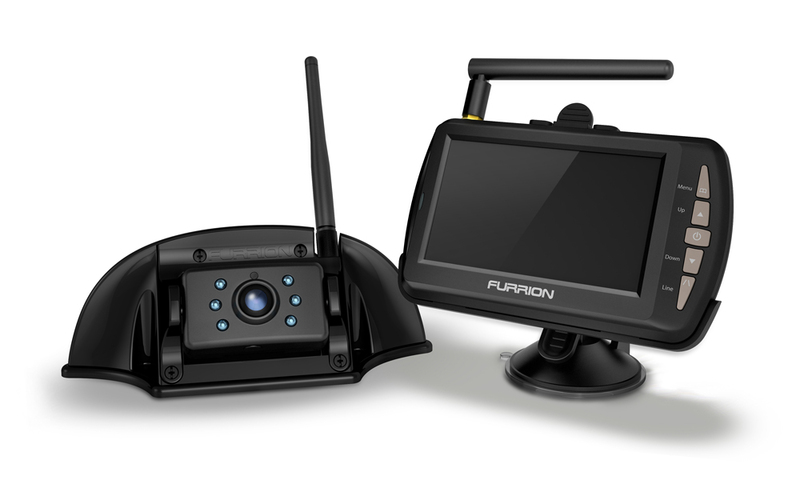 381556 ING BRKT (CAMERA + MONITOR + BRKT) (FOS48TAPK-BL) **replaced with 5065445*** Furrion's Observation system boasts amazing features including the latest in digital wireless technology., eliminating interference from the outside environment. The powerful infared wide-anlge lens camera digitally locks to the 4.3" LCD color display and delivers seamless video transfer for specialty vehicles up to 100 ft. in length. Upgraded CPU with 5x signal stabilization. Vibrationsmart Designed and tested for vibration resistance. Climatesmart Designed and tested for extreme climates. Uninterupted direct digital pairing.